Hey, it's Movember now! Many men are growing out their 'staches to raise awareness for men's health issues. Since my son can't grow a mustache yet, he took a Movember lunch to preschool. 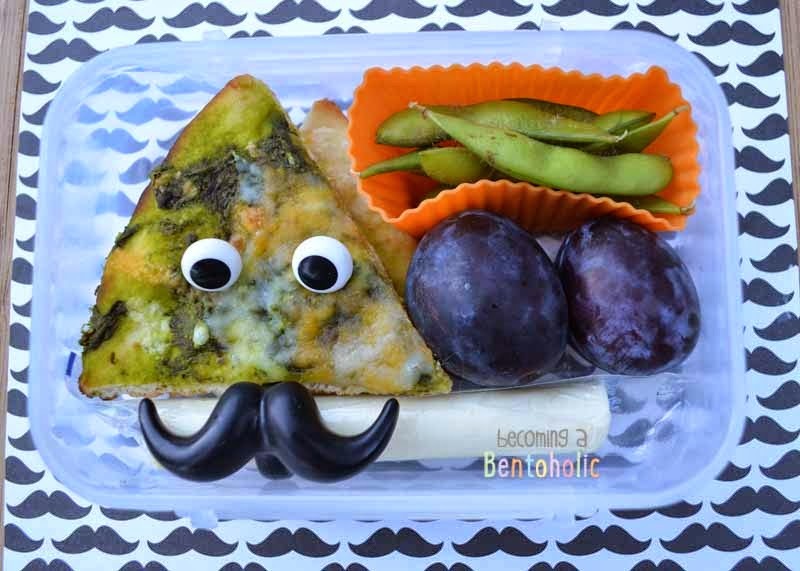 In this bento: Leftover pesto pita pizza, edamame, plum halves, and a cheese stick.